Mabel Elementary’s “Legos in the Library” grant will repurpose an unused bookshelf into a Lego World with vertical and horizontal building surfaces, books, and materials. “Paramount Parkway” grant will expose students to 21st-century technology, local and global diversity, and dances from other cultures through use of a projector. 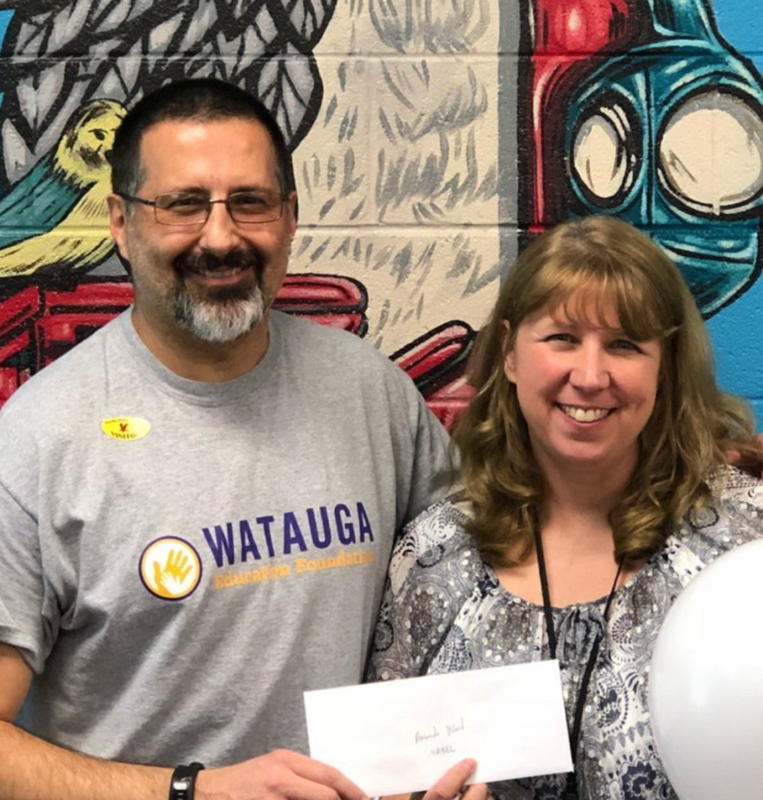 Grady McKinney and Donna Raichle of Parkway Elementary accept grant from Watauga Education Foundation member Wendy Jessen. 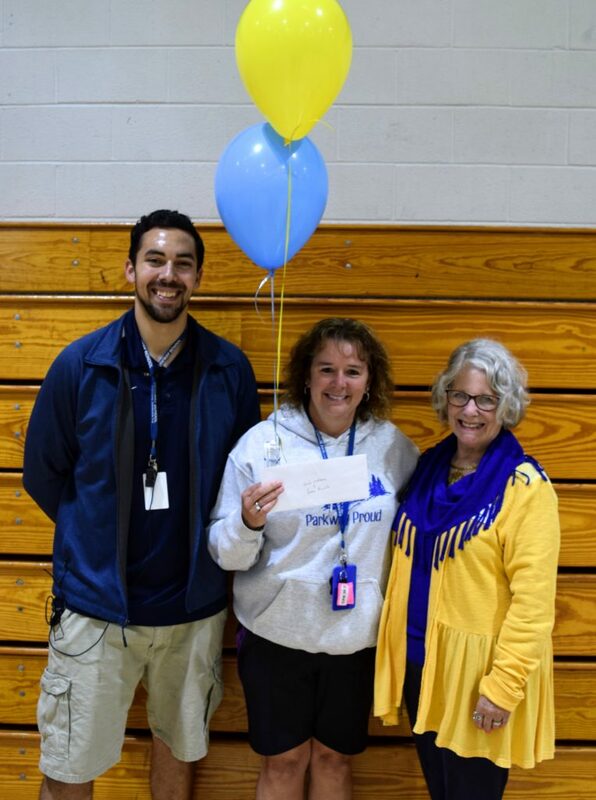 “Math Enrichment” grant funded math activities in Pre-K-8 classrooms at Cove Creek’s 2018 Fall Festival community event. 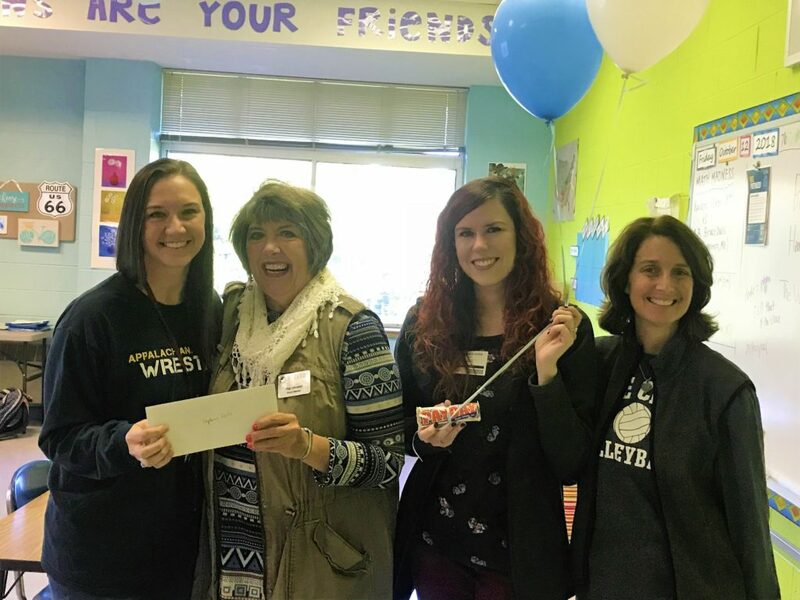 Stephanie Kostis, math teacher at Cove Creek Elementary School, accepts a math enrichment grant from Watauga Education Foundation members Gigi Johnston and Peaches Hash as Principal Kelly looks on.